Stand out in the crowd and take care of your beard in Barber's Club way! 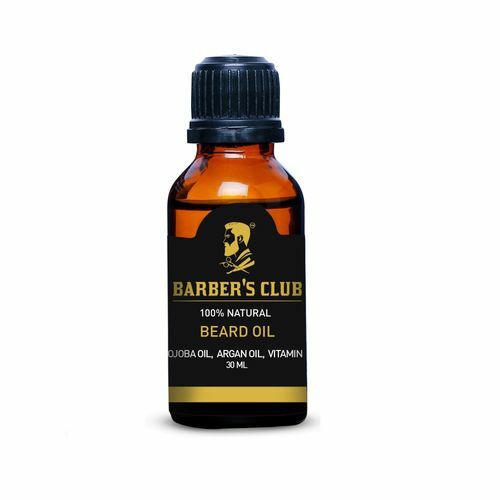 The beard oils brought by Barber's Club are made from natural ingredients and are 100% organic. The natural highest quality ingredients help protect the skin underneath your beard, enable less itching & irritation and remove dryness & brittleness. Designed to be lightweight, these oils keep your beard conditioned and shiny. Not only this, these naturally made oils help to soften and hydrate your beard with no greasy residue while minimizing dandruff. Every oil from the repertoire available at Barber's Club is made in India and is scientifically proven to help protect the hair and skin of men. The oils are available in tea tree oil, lavender and rosemary fragrances.